This is an unusual set that has been reissued on CD. 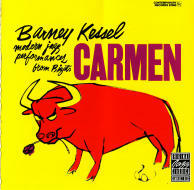 During an era when many Broadway and movie scores were recorded in jazz settings (thanks in part to the success of Shelly Manne's best-selling My Fair Lady album), guitarist Barney Kessel chose to interpret nine melodies from Bizet's opera Carmen. 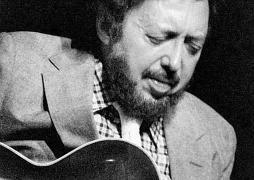 The guitarist is heard in three different settings: joined by five woodwinds and a rhythm section; with five jazz horns (including altoist Herb Geller and trumpeter Ray Linn) and a trio; and with vibraphonist Victor Feldman in a quintet. Kessel also wrote the arrangements, which pay tribute to the melodies while not being shy of swinging the themes. An interesting if not essential project. Label: Contemporary Records / OJC, Fantasy Inc.